Not the job for you? Please note you must be permitted to work in the EC to apply for this job. We are looking for AutoCAD Technician to join our client on a permanent basis who is looking use their design skills and creative flair to make an impact on the telecoms industry. You will be looking to develop yourself as a AutoCAD Technician and you will get the chance to work alongside and learn from top level and highly qualified Design Engineers who you can pick the brains of on a daily basis. Do you want to sink your teeth into and help build and design the largest portfolio of Telecoms Sites In the UK? Then we want to hear from you. Our end client are an approved Acquisition, Design and Construction supplier to all the mobile operators within the UK. Namely Vodafone, 02, EE and 3. They also work on the joint ventures of MBNL and CTIL as well as with, Airvwave on the Emergency Services, Ericsson, UK broadband, and BT . They positively encourage personal growth, career development and can promise a challenging and stimulating environment in which to work. They are in a unique position to offer you the platform to make "waves" within the telecoms industry and continue to grow from strength to strength. If you are a confident, friendly CAD Technician looking for a role that's a little bit more challenging, we'd like to hear from you. You will need previous CAD experience to allow you to hit the ground running with us and an academic qualification (City & Guilds or equivalent) to back up your hard work. It may sound clichéd but alongside your already amazing AutoCAD skills (you really DO need to be good at working both as part of a team and on your own. The whole company ethos is about working together and bringing in everyone's skill sets to benefit both your client and yourselves, who better to learn from than your peers? 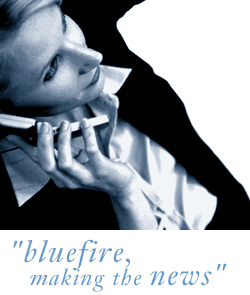 Bluefire Consulting Ltd are a recruitment agency working on behalf of our client. Your application will be reviewed by the consultants of Bluefire Consulting Ltd.
We receive a high volume of applications for every role advertised and regularly receive applications from candidates who exceed the job credentials. We will only contact you within the next 14 days if you have been shortlisted for interview for this particular role and you meet the end client requirments. Please consider yourself unsuccessful if you have not heard from us within 14days. Bluefire Consulting is an equal opportunities Employment Business/Agency specialising in Engineering recruitment on a UK wide basis.